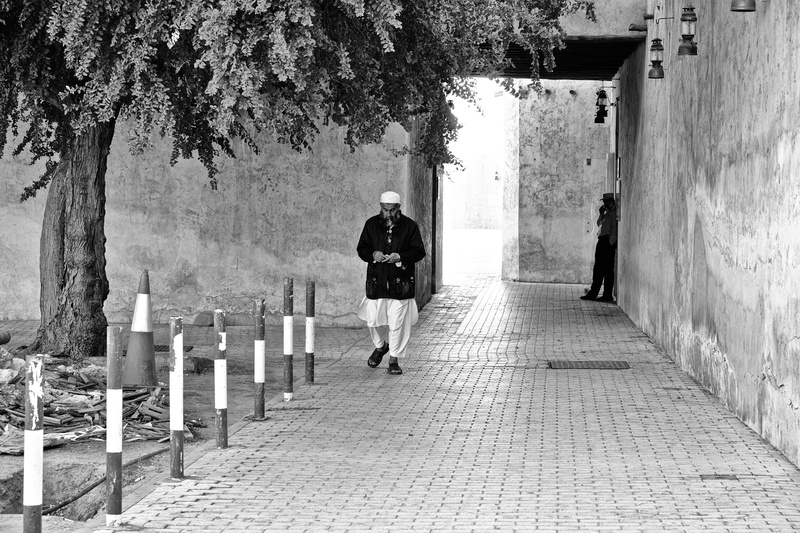 A man walking down the street of Sharjah and beautiful play of light behind him. What else I can ask in a frame. Here it is !